Now that this quilt has made its way to its new home in Scotland, I can finally share it with you! This is 4 Corners. It is a mini quilt, finishing at approximately 24" x 24". 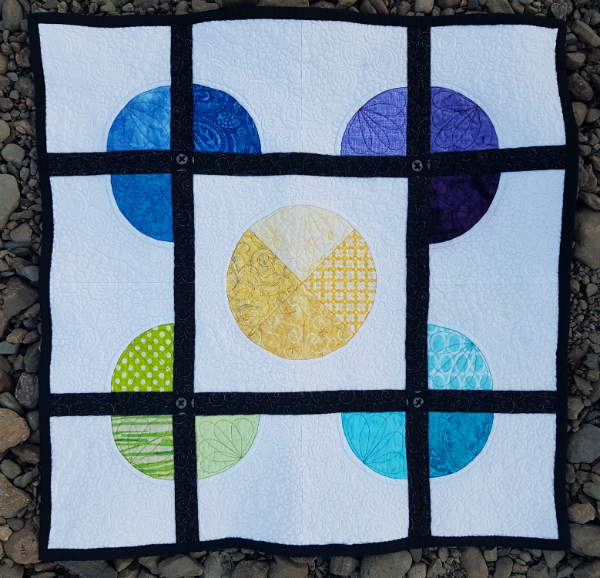 I designed this mini quilt for a swap for Fiona, of Celtic Thistle Stitches, and it was one of my designs during the 30 Days of Quilt Designs 2017 IG challenge with Sandra (@mmmquilts) and Lisa (@sunlightinwinterquilts). I knew I wanted to design a mini that referenced Fiona's frequent traveling, especially because I love virtually traveling with her through her blog posts about the places she visits. Since she's traveling around Europe, it's likely I'll never see most of the places in person, so it's fun to get a glimpse of whatever Fiona finds most interesting. With that in mind, the corners of the quilt represent the 4 corners of the world. They're all different colours to represent the different things to be found all over the world. The black lines represent the roads that lead to all of those places and the yellow circle in the middle represents home. Of course, all of the negative space in the quilt practically begged for some flow quilting, and I was more than happy to oblige 😊 As always, I love how the quilting shows up on the back. 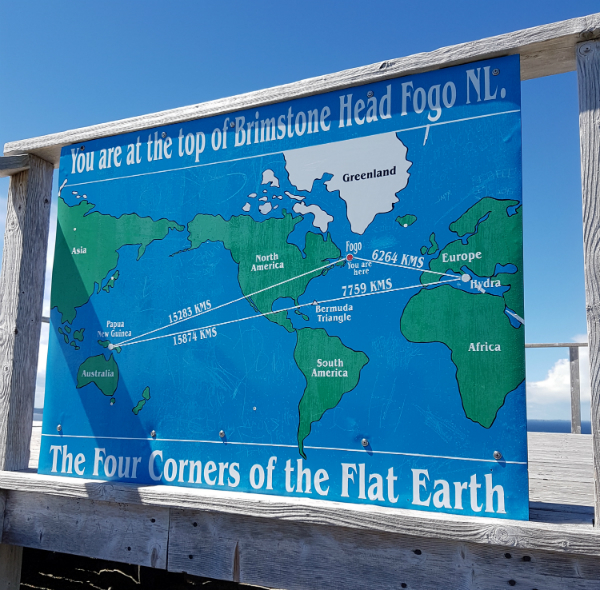 We actually visited one of the four corners of the world this summer, according to the Flat Earth Society! I think that's one corner I've visited that Fiona hasn't, lol. 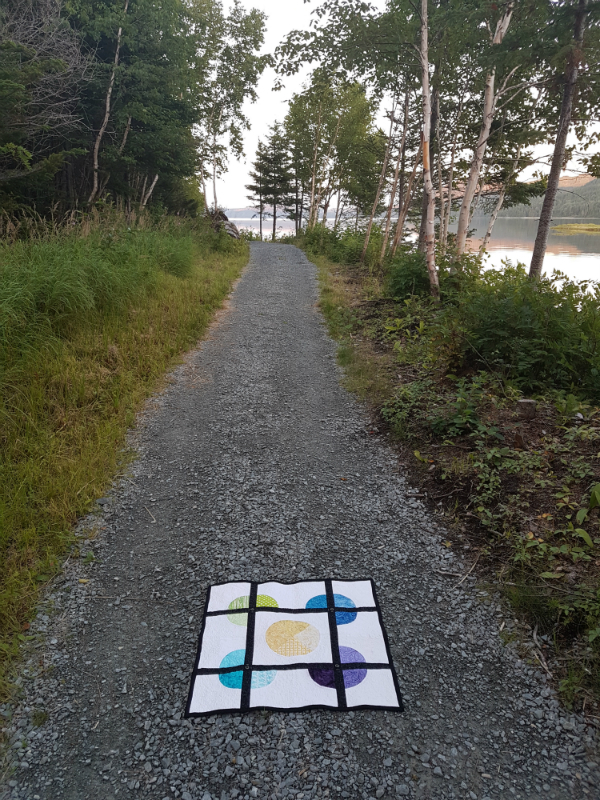 I love that you photographed the quilt on a road, begging to be walked down. The quilting is amazing, Leanne, and I am sure Fiona is going to appreciate and enjoy this mini quilt. So pretty! I love your design and your quilting. The photos are great Leanne but not as wonderful as the quilt itself :) I love it and more especially the thought that went into it, thank you so much. 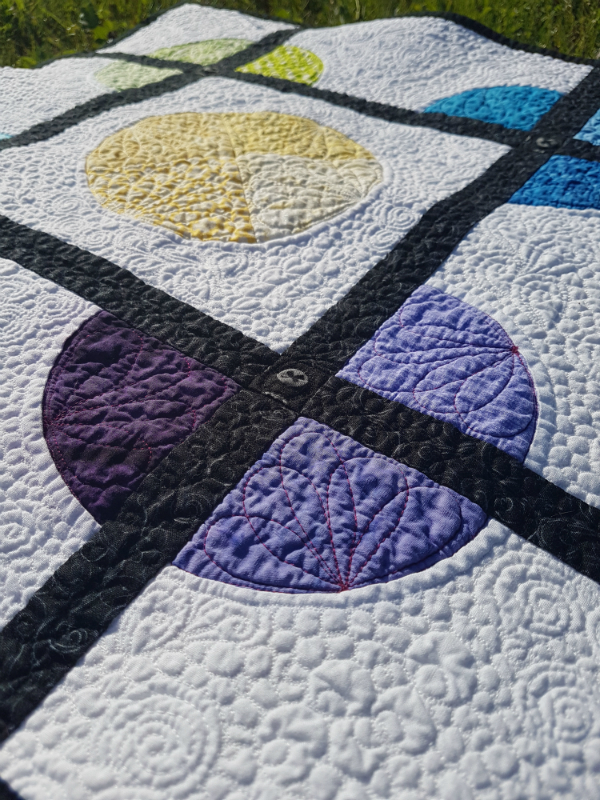 What a great design and your quilting is amazing! I love all the thought that went into the different parts and that last shot is stunning! That last shot makes me think a bit of Scotland, not that I've ever been though like you, I'd like to. Saw this on Instagram and LOVED it, but it's even better seeing it here and reading about it. 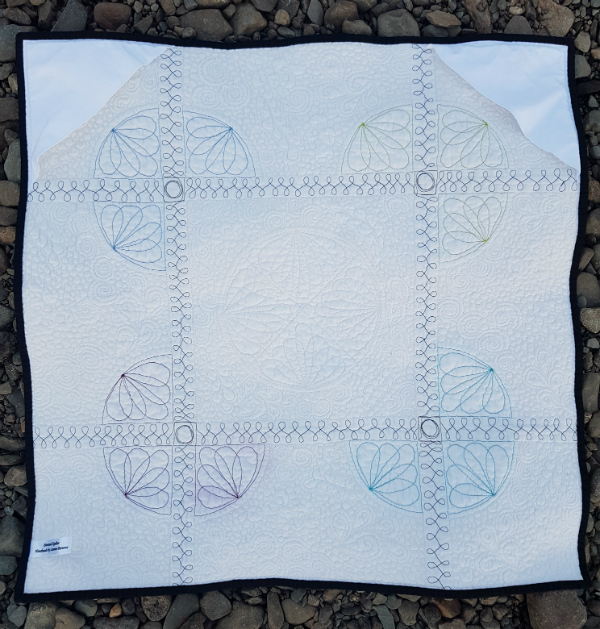 Leanne your quilting is stunning, so intricate and just ahhh, a massage for the soul! Love the symbolism behind the quilt and love that you designed it in the challenge we did! So many quilts have come of that challenge...makes me think we need to have a little quilt show of them... hmmm. I love this mini and especially after reading how it came about! 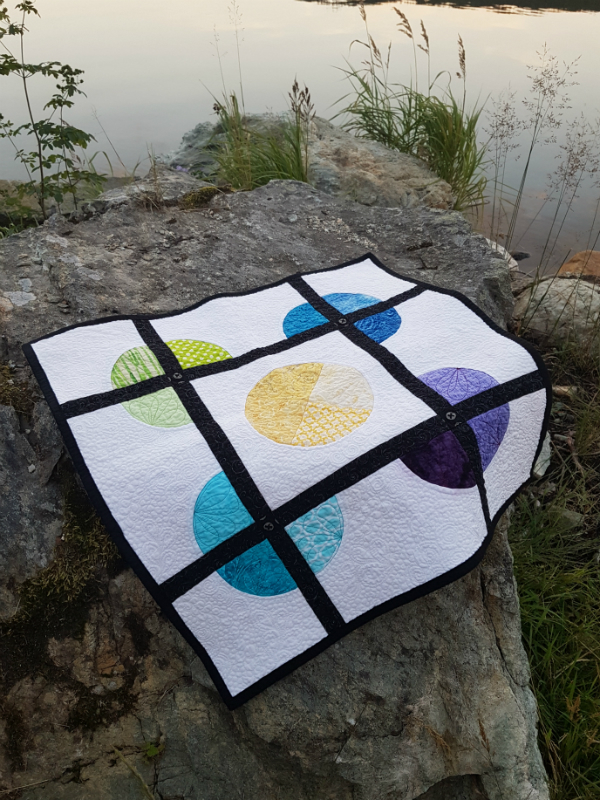 Topping it off with your beautiful quilting...it's just perfect! I rarely travel and when I do it's to see family. Nothing exciting on my travels!! Oh that is clever, and I love the quilting on it - just beautiful! Wow. Great design and great quilting. Great finish- I enjoyed reading the story behind the design. The quilting looks wonderful Leanne. My favorite is the picture taken of the quilt on the road. Very cool? Beautiful mini! 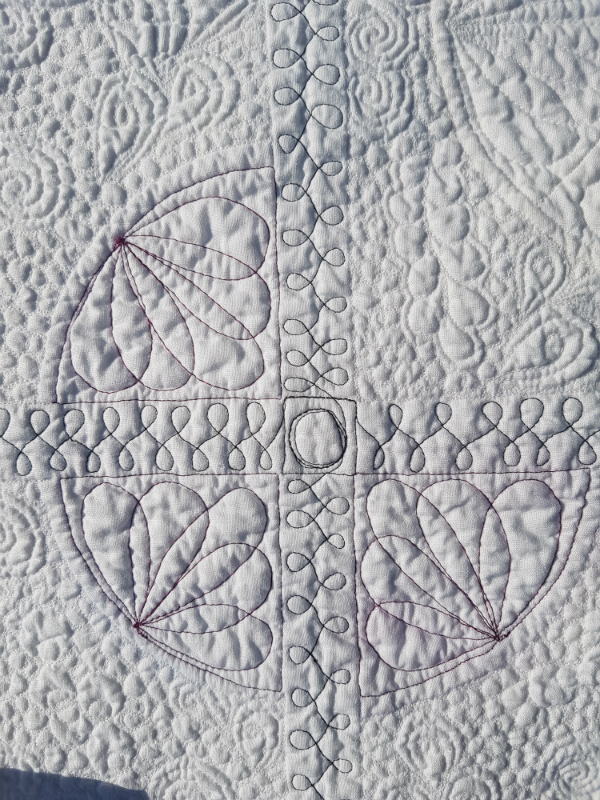 I love the curved piecing and the quilting. This is such a fabulous mini. I just love the thoughts behind it and that last photo is just stunning! Lovely gift - i love the idea of a flat earth society for soem reason!